"I mean, it’s obviously very, very difficult from that position and highly unlikely, but you’ve always got to believe. I said a long, long prayer before the race started," said Hamilton of his phenomenal race. "But the team did such a great job, the car was fantastic today. Honestly, I’m so grateful. I would never have though you could do something like that today, but I just kept pushing, I kept believing and it happened." 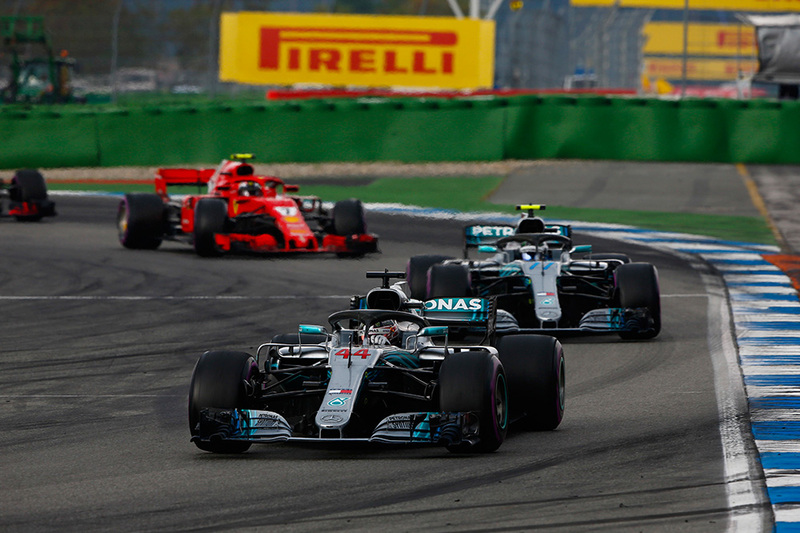 Just like Silverstone, this race at the Hockenheimring began as a Vettel vs Bottas battle at the front and a Hamilton fightback through the field, then ending with a 10-lap dash to the flag after a late Safety Car. Mercedes has been criticised at times for strategy calls this season, but here it was a win based on a strategy decision. Weather played its part and teams had to guess what would be the best tyre as the rain arrived, but then it eased. Mercedes gave Hamilton a set of ultrasoft tyres, gambling that the rain would not be so intense and the ultrasoft would be the best tyre in that condition. Vettel was caught out. 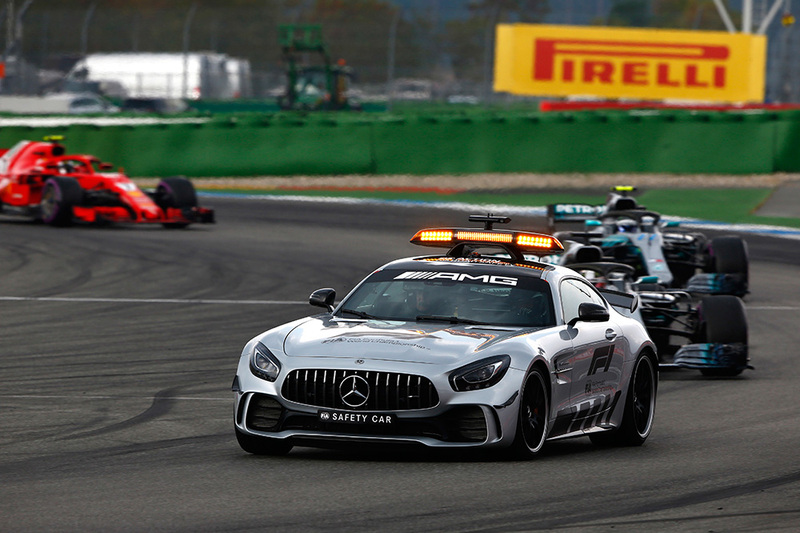 The German had controlled the race overall, but crashed out sensationally in the stadium section, with less than a quarter of the race remaining, throwing away 25 points and the Drivers’ Championship lead. It was as costly as the crash he had at the start of last season’s Singapore Grand Prix. The difference this time, however, is that this year, Vettel can be confident he will have many other chances to win this season. Team boss Toto Wolff said that Mercedes had not been the fastest car this weekend and called on the team to address that for the races ahead in the season. One area Ferrari are clearly stronger now is on the engine, which has been Mercedes’ ace card since 2014. 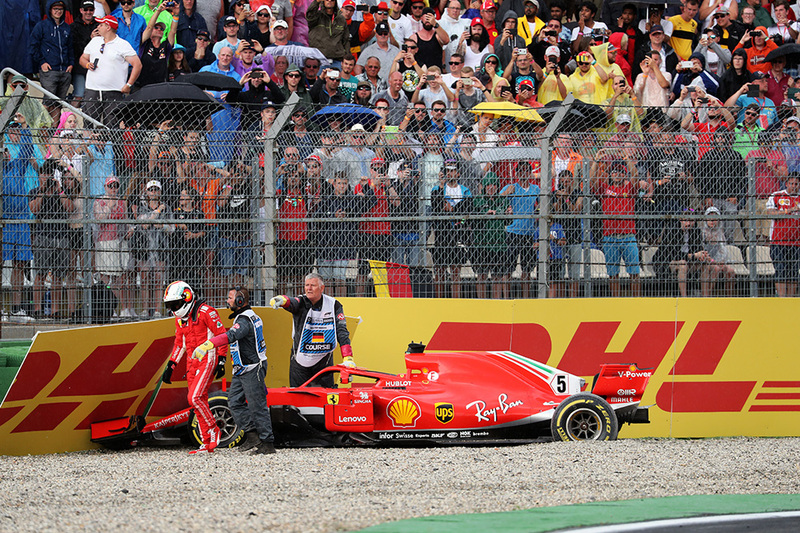 Later in the race, after Vettel’s accident, the Safety Car was deployed and Bottas and Raikkonen were able to take new ultrasoft tyres. Bottas challenged his teammate for the lead at the restart, but Mercedes told him to hold position in second place. Ferrari again appeared to use Kimi Raikkonen as a tactical chess piece in their quest to win the Drivers' Championship for Vettel. The Finn was pitted early on lap 15 to both challenge Bottas and to cover Hamilton's progress through the field. But what started that way, instead ended up with him sitting in front of Vettel after the German's stop, holding him up. Vettel on the radio described the approach as 'silly'. Raikkonen was eventually also told to let his team leader through.